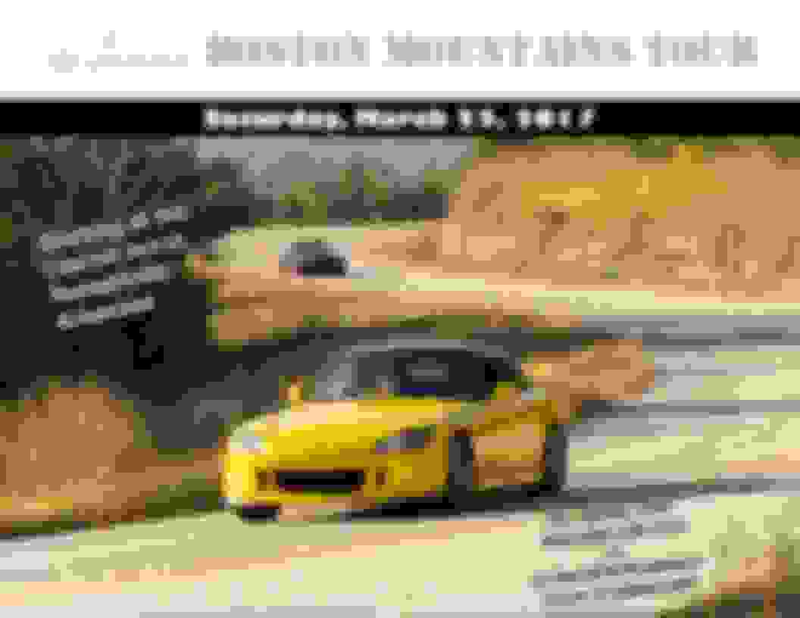 You are invited to join other S2000 owners and driving enthusiasts for the 21st semi-annual S2000 Boston Mountains Tour!!! This tour will cover some of the best winding and scenic roads that the Arkansas Boston Mountains range of Northwest Arkansas have to offer with roads that challenge even the most experienced drivers. On Saturday, March 25th, all drivers will be given a tour packet that will have your group number, route with turn-by-turn directions, lunch and dinner maps (if applicable). 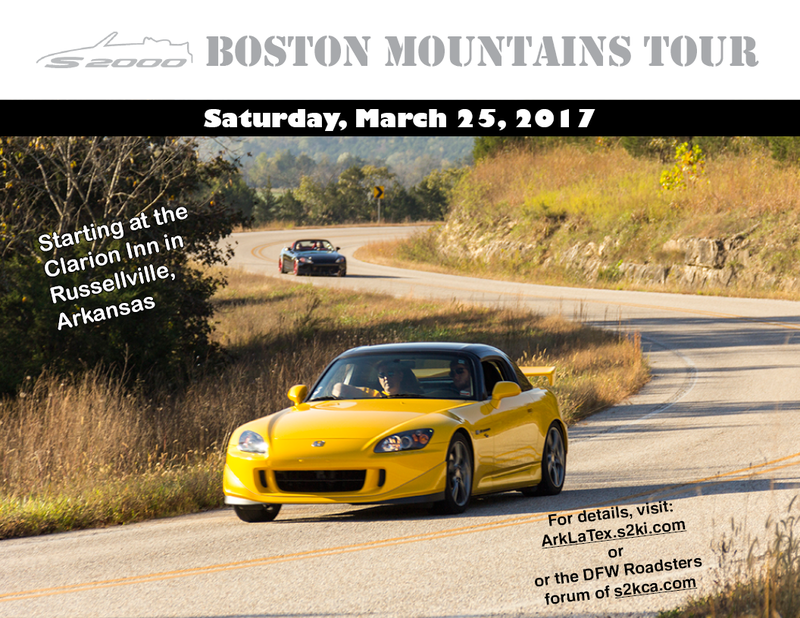 The Arkansas Boston Mountains Tour is one of the best environments for you to fully enjoy what your sports car was made to do - TURN! Caravan to Group Photo Location: 8:30 a.m.
Clarion Inn in Russellville, AR is completely sold out that weekend. There are many nearby hotels many less than 3 miles away from the Clarion in Russellville, AR. Please check with them for accommodations. LaQunita, Hampton Inn, Best Western, etc. Reminders will be given periodically as we get closer to the event to inspect your: Car, Tires, Fluids, Brakes. Also be sure to arrive at the starting point with a full tank of gas. Last edited by Ch0pper; 03-23-2017 at 10:41 AM. Last edited by Tnsmike914; 02-28-2017 at 04:30 AM. Riderguy57 +1 (Scott & Maureen) confirmed! Rob'nChris105 (the team formerly known as Spiro55) will be there! Since we were too slow to get into the Clarion, we'll be at the LaQuinta down the street. Confirmed! Thank you for getting us on the list! Can't wait!